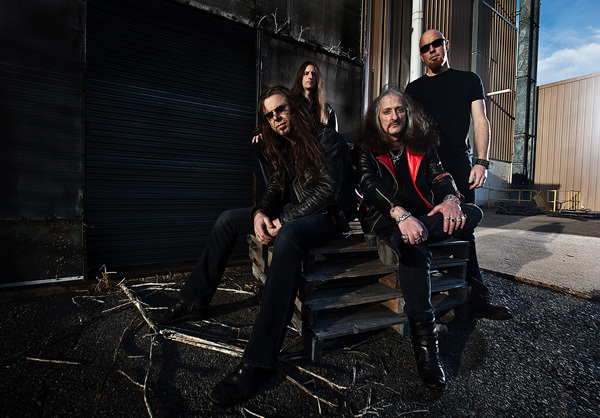 Bobby Liebling and PENTAGRAM have been churning out widely admired hard rock / doom metal for over four decades. Within its first, this D.C. band is largely regarded as pioneering not one but two subgenres of hard rock. At the onset of the 1970′s, they helped procreate a behemoth called, “Heavy Metal.” Nine years on, they’d be planting the dark seed of what would grow to be known as “Doom”. 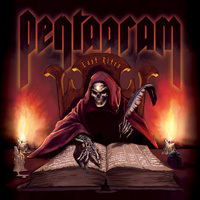 2011 marks the 40th Anniversary of this American treasure and sees the release of their new album, Last Rites, on Metal Blade Records. When asked about his old band’s beginnings, co-founder and drummer Geof O’Keefe recalls, “It was 40 yrs ago in the fall of 1971. I’m not sure if it was literally Halloween night but it was at least pretty close. I was sitting around with Bobby Liebling, my best friend from school. We were bemoaning our own bands, Shades of Darkness and Space Meat. We were also talking about how Blue Cheer had lost both their fire and guitarist Leigh Stephens. Cream had disbanded, and Hendrix had been dead a year.” That night an idea that could change hard rock history dawned on them. They should join forces start a new group playing all original music influenced by the heavier bands they both loved! Out of love and frustration, PENTAGRAM was born. Shortly before this period, while in high school, is where Griffin perfected the sound invention of “Drop B tuning.”Of the technique, Griffin says, “I had been messing around with a drop D tuning which was also uncommon at the time. I had been playing around with it and dropping it lower and discovered something when I got to B. If you play a fifth chord on the top two strings, it makes this octave. Now you have those seven-string guitars with the low B right on there. For the time though, I don’t know of anyone who had done that.” Little did he know at the time that he’d influence thousands of players in the future. The band would coincidentally get signed to an unrelated label entitled PENTAGRAM Records in 1985. Death Row recorded a demo in 1981, which was paid for by Hasselvander. The following year, Liebling would pay for another. Three years later, these two demos would be put together to form the self-titled PENTAGRAM album. 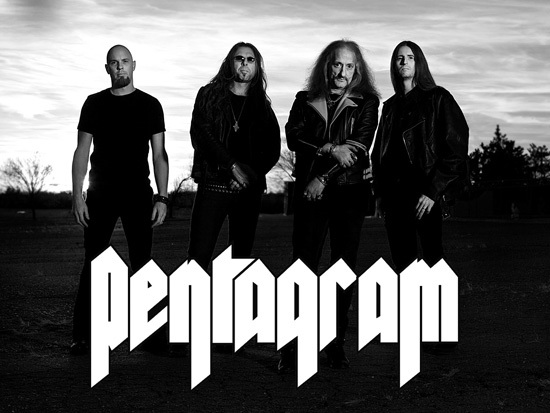 Merely days before the deal with the label was inked, Liebling had convinced Griffin that PENTAGRAM was a better moniker since it was already well known in the area. 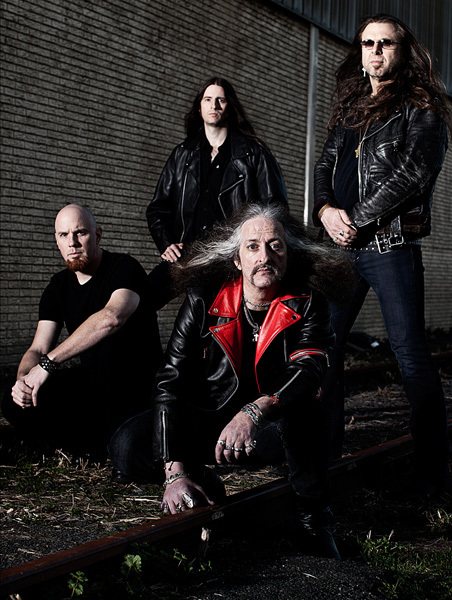 Fifteen years into his career Bobby Liebling and PENTAGRAM would finally release their debut album; a record which nineteen years later would be inducted into Decibel Magazine’s “Hall of Fame!” Sadly, Hasselvander was once again unhappy and restless. Before the debut’s release and just after the second record was finished being recorded, he again parted ways and joined N.W.O.B.H.M. / pre-thrash luminaries, Raven. Stuart Rose soon joined Liebling, Griffin and Swaney as the band continued down its path to the top. The guys played as many headlining gigs in the area as they could and opened for nearly every major label metal band who toured through the DC area. Crowning this era was an infamous gig at the defunct yet historic CBGBs in NYC. As a result of these performances and unique, stellar songs, a new deal with international indie label Napalm was on the table. The second album, Day of Reckoning finally hit the streets in 1987. The same demons still haunted Liebling and his band however. This coupled with virtually no label support the group was soon driven back into the grave. It wasn’t until 1994 when the band would come back together and record for Peaceville records. Hasselvander jumped back on board. He, Liebling, Griffin and Swaney dug down deep into the vaults and pulled out a few old Liebling classics as well as the usual heavies Griffin had become known for. Be Forewarned came out to more fanfare than ever, even though that still kept them well beneath the mainstream. What PENTAGRAM started to realize, however, is that they had influenced a handful of heavy bands who, like them, sacrificed speed for weight of the riff. 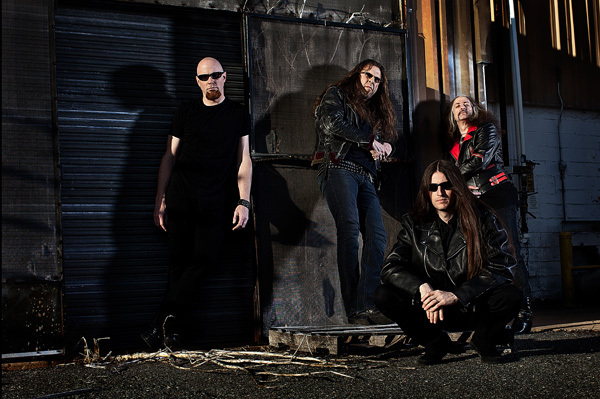 Doom metal was in full swing with every one of its bands, Trouble, Candlemass, Cathedral, and so on, sighting PENTAGRAM, along with Black Sabbath, as their main influences. At this time, Peaceville also obtained the rights to the band’s first two albums and rereleased them to young doomsters hungry for the original recipe. It seemed that finally, PENTAGRAM would get its due. Regrouped and re-charged these D.C. doom godfathers gave it another go. Unfortunately, once again, Hasselvander was once again fed-up with the madness and returned solely to Raven. Swaney soon too would become disheartened with the lack of tours, label support and usual rigors of a band living the “rock n roll lifestyle.” He also soon departed the band for a second time. Despite all this, Liebling and Griffin forged ahead and recruited local drummer Gary Isom and Griffin’s nephew, Greg Turley on bass. Stardom was still far, far away however and within a few short years, PENTAGRAM and mainman Liebling once again tittered over an open grave. Fast forward to 1998…Hasselvander had rejoined the band and in 2001 PENTAGRAM released Sub-Basement and First Daze Here, a collection of Liebling’s best recorded 70′s songs. 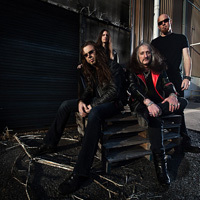 As quoted by Liebling, “This album finally gave me the growth steps I needed to take in order to find a wider audience.” More rock and hard rock than doom, the soulful songs reached across multiple sub-genres of metal and rock and roll. Accolades of these uncovered songs started pouring in from famous and infamous musicians alike as it went on to sell well over 10,000 copies. Covers would appear from respected contemporaries such as Hank III, Witchcraft and The Dead Weather. People such as Liam Gallagher from Oasis sited Liebling’s 1972 song, “Be Forewarned” in his top five songs of all time. Finally, was the genius of Bobby Liebling and PENTAGRAM becoming known by the mainstream? Empowered by the recent accolades, Liebling put together a few different line-ups in hopes of playing out live again. Unfortunately, this was not to be the case. Several, now infamous, false starts went down. One of these would happen in 2001 at a doom fest in the DC area. After waiting over an hour to show up, Hasselvander, now on guitar, started the set without him. The band played nearly their entire set before Liebling showed up during the last song. An upset Hasselvander kicked Liebling in the shin and finished the song behind his amps. Another such event was at the Black Cat in DC in 2005. Liebling was indeed at the club on time but so was his drug dealer. He overdosed backstage and had to be revived by the paramedics. Friends dragged him up onto the stage where he collapsed on the drum riser during the first song. He died twice on the way to the hospital but luckily ended up pulling through. Right around this time, 914 Pictures (“The Art of the Steal”, “Rock School”) started working on a documentary on Liebling’s life. A labor of love, the film company worked slowly on the project in their spare time. Another four years would go by as Liebling struggled against his demons. In his heart, he still wanted to create music. Encouraged by his friends and management, he got a band together again in early 2009. Focused and determined, once again the man was ready to show ‘em how! Gary Isom (Spirit Caravan) joined back up on drums; Mark Ammen (Unorthodox) handled the bass while Liebling’s self-described “secret weapon,” Russ Strahan, burned bright on guitar. A triumphant come back show was booked at the historic Webster Hall in NYC. It sold out as people traveled from around the world to show support. 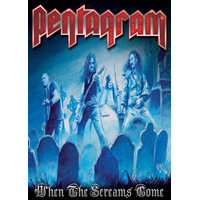 Highlighting songs from PENTAGRAM‘s career, the gig went down in a blaze of glory. 914 Pictures was there capturing all the glory of the madman back at the mic in this historic setting. The performance proved why this band was worthy of mentioning in between Black Sabbath and Judas Priest as innovators of heavy metal. Things never came easy for Liebling though. They say that it is at these times of deep darkness that the light ends up shining through the clouds brighter than ever. Liebling reached out to Griffin who at the time was fronting Death Row alongside Hasselvander and Swaney. Missing his old band mate and mentor, and seeing how hard he was trying to fly straight, Griffin agreed to a small run of US dates in the spring of 2010. The gigs were a welcomed success and peaked on the main stage of the Maryland Death Fest in front of hundreds of eager fans. The gig was stellar and captured on film by a five camera crew. This show and tour was such a hit that the band again started plodding another attempt at finally making it. In the fall of 2010, a 3 album deal with the historic metal label, Metal Blade Records was announced! 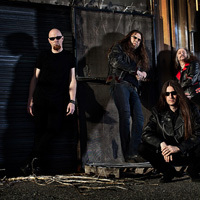 Last Rites, the album Liebling had been dreaming of for ages was announced for release in the spring of 2011 and will once again include Griffin’s nephew and PENTAGRAM alumni, Turley, with the latest addition being new drummer Albert Born. Also penned for release was a DVD featuring the entire set at 2010′s Maryland Death Fest! To top it all off, a 40th Anniversary gig was scheduled for January of 2011. PENTAGRAM has proved time and time again that giving up is not an option. With the strongest lineup yet, a clean and sober Liebling, and 12 new tracks of pure classic metal coming to fans via Last Rites on April 12, PENTAGRAM are poised to conquer the masses and claim their rightful throne atop the metal mountain.